We have been very fortunate to have had various people come and record our singings in both audio and visual formats. Most of our 2-day conventions (as well as the Pioneer Valley All Day Singing) are recorded by the extremely talented Dan Richardson, husband of one of our regular Tuesday night singers. Dan has shared with us some of his Recording Notes for others who would like to know his secrets. Sample a Tuesday night singing! Check out WMSHC's Youtube channel. 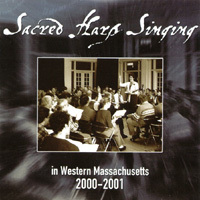 Listen to WFMU's Radio show about Sacred Harp and WMSHC in particular (from 2003). 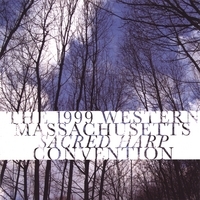 Western Massachusetts Sacred Harp Community, Inc. "WMSHC", a 501(c) non-profit organization, promotes community-based singing from The Sacred Harp through Sacred Harp Singing Schools, an annual Singing Convention and other educational and outreach activities. The Convention has no institutional, religious or political affiliation, but fosters the fellowship Sacred Harp singing engenders, and all who wish to participate are invited to lift their voices in song, regardless of musical training or ability.